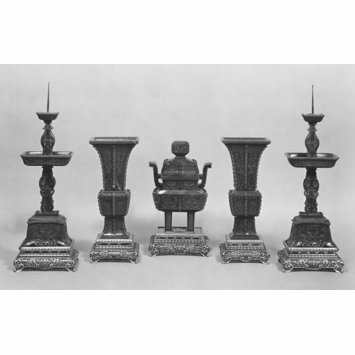 This five-piece altar set was known as 'wugong' and was widely used in both Buddhist and Daoist temples in imperial China. A 'wugong' can be made of other materials, such as porcelain or bronze. However, a jade' wugong' was far more labour-intensive and indicated that its owner was an affluent person. 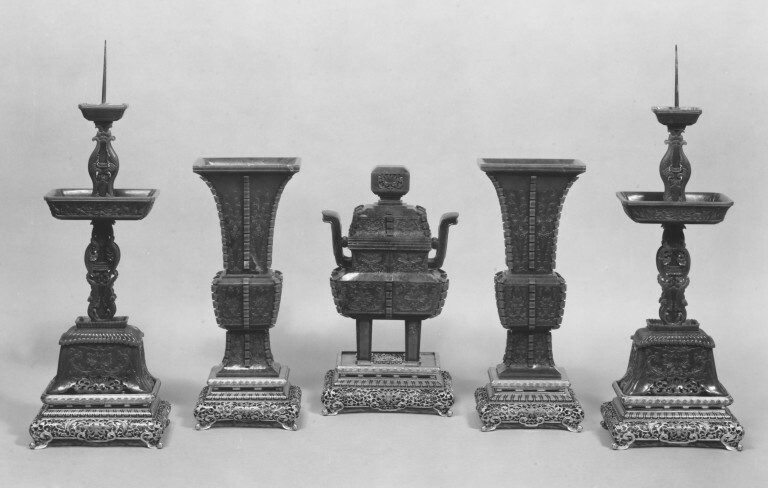 Set of altar vessels (wugong) comprising two candlesticks, two vases and an incense burner with lid, all five vessels equipped with cloisonne stands.